Hey everyone! It’s MARCH MADNESS! 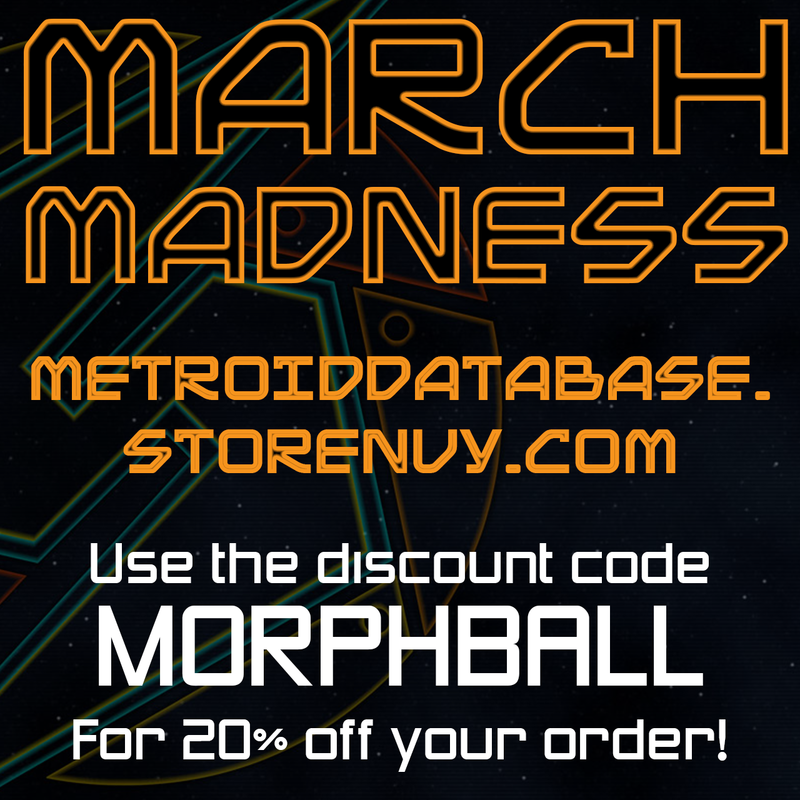 Starting today all through this month, you can use the discount code MORPHBALL to get 20% off you order through our store. We’re doing this as both a thank you to our followers and celebrating the 24th anniversary of Super Metroid which is the 19th. Enjoy!